Made of colorful durable poly. 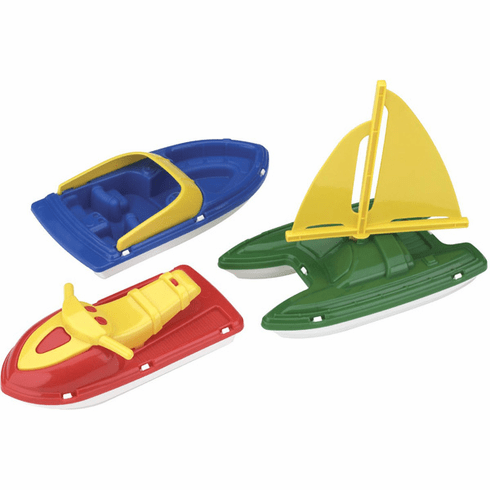 Assortment of boats include a 9.25" sport boat, 8.5" wave runner, and an 8.5" sailboat with turning sail. Styles subject to availability. Price per boat.